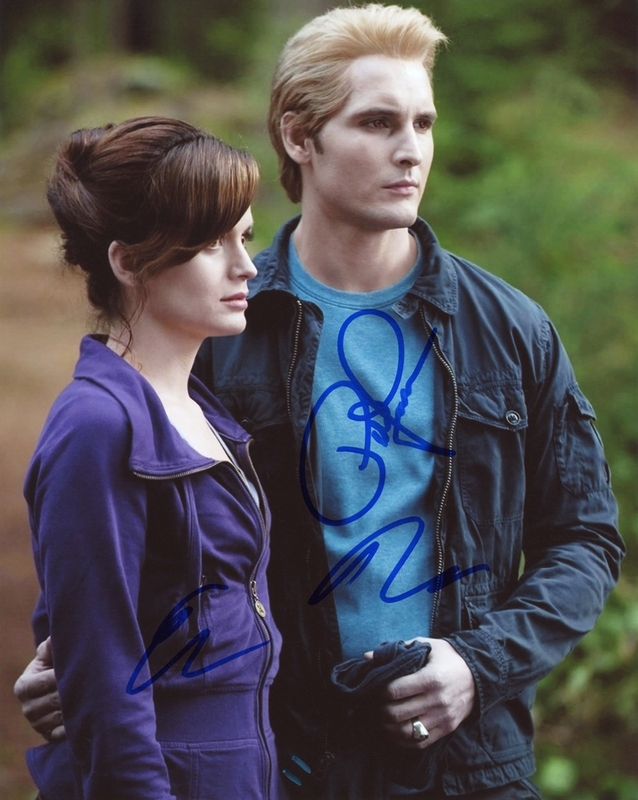 We never sell copies or reproductions of any kind; this photo has been hand-signed by Peter Facinelli & Elizabeth Reaser. Peter signed this photo in-person at the NBC Upfront in New York City on May 12, 2014. Elizabeth autographed this picture at How I Learned to Drive Off-Broadway in New York City on March 11, 2012.